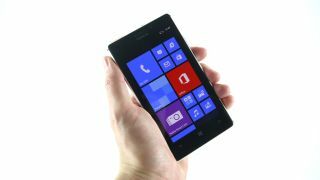 Optus has today started taking pre-orders for the Nokia Lumia 925, with the handset due to arrive in stores on August 1 for an outright price of $624. It will be available on Optus' $50 My Plan with an $8 monthly handset repayment (total minimum cost $1392), while the $60, $80 and $100 My Plan options will require $0 handset repayments. Optus will also have the Nokia 925 available for SIM-only customers or those wishing to add it as their My Mobile option. Telstra had previously announced that it will start offering the handset from July 30 outright for the same price as Optus, or on its $60 Every Day Connect plan and $60 Business Performance Plan, both with a $6 handset repayment per month for 24 months (total minimum cost $1584). And while Vodafone has confirmed to TechRadar that it will be ranging the handset, a spokesperson simply said: "Stay tuned for details." Order placed your order? Why not check out TechRadar's other blips!